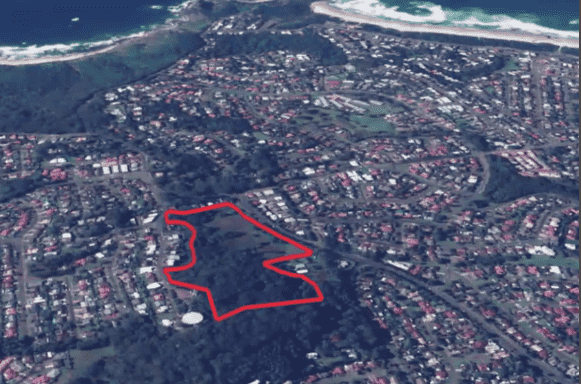 if not the best site still available for residential development in Port Macquarie." Please note the offer summary below is subject to the risks outlined in the official information memorandum which takes precedence over all information below. You are only moments away from accessing a 30% fixed dividend return in a boutique land subdivision in the fourth most searched location (on Domain) in Australia. Investors in round #1 of the this project have just earned a 30% fixed return on approval of the DA in Dec 2018 ... and now it's your turn if you missed out. If you had any doubt when the first offer launched a year ago, by now you'd be thinking the results speak for themselves. Capital raised in this offer will be used to fund the construction and sales of twenty of the fifty proposed home sites in the highly desirable "Transit Hill' central location in Port Macquarie, NSW. Your returns are not directly tied to the sub division AND construction of the homes but rather accrue when the buyer settles the purchase of the home site prior to construction of their home. This feature ensures your returns are paid in a timely manner and in priority over any other distributions made to the developer. Additionally, in the unlikely event the profit pool shrinks from say $10.5m to $1.5m, your returns are unlikely to be impacted given there would still be sufficient profit. Given the quality and location of this project, this magnitude of profit degradation is simply unlikely but it serves as a good illustration. In the 10 years of creating passive or armchair developments across multiple developers and locations, this is a stand out offer with very little downside in my opinion. Domain.com.au says it's the 4th most searched location in Australia. Properties sell in 71 days on average. Despite high demand, only 0.01% of similar, high demand properties available with extreme lid on comparable supply. Your payout is paid on sales of first 20 lots in order of application and payment receipt: invest early.. get paid early... no waiting for homes to be built...profits on land sale only. Local market data supports volume of sales, price of home sites and (importantly) market absorption rate required to achieve profit assumptions. Tracy, a busy banker and SMSF investor earned 57% in less than one year and retained a property at 21.7% below market value. John, a retiree, earned 42% on his cash invested after 19 months. Has 4 properties - 2 properties in SMSF - but couldn't get more loans so chose passive development instead. Julie is very busy and earned 49.19% on her cash invested. "Trying to manage full time work and invest on my own? Hotspotcentral did it all"
This last infill site in the prestigious Transit Hill, central Port Macquarie comes with outstanding sea views. The site has stood empty for many decades after remaining in the same family for multiple generations. ​"This site is considered to be amongst the best, if not THE best site for residential development in Port Macquarie"
The site is located in the sought-after pocket of Transit Hill in Port Macquarie being the last in-fill development land subdivision in central Port Macquarie. Homes sell for more than $1,000,000 in the "Transit Hill" area and according to Domain.com.au, Port Macquarie is one of the fastest growing areas in NSW: "No longer just attracting retirees, families are flocking here for the great schools and friendly communities. Across Australia, it is the fourth most searched for town on domain.com.au. Demand is not just from home-buyers but those looking for a great investment. Most price ranges are selling fast and occasionally sight-unseen. It’s certainly a seller’s market." 25 sales in a similar price bracket...and... with virtually no competing stock left on the market in this price range today, it looks like demand will likely grow for the last remaining sea view homes in the area. 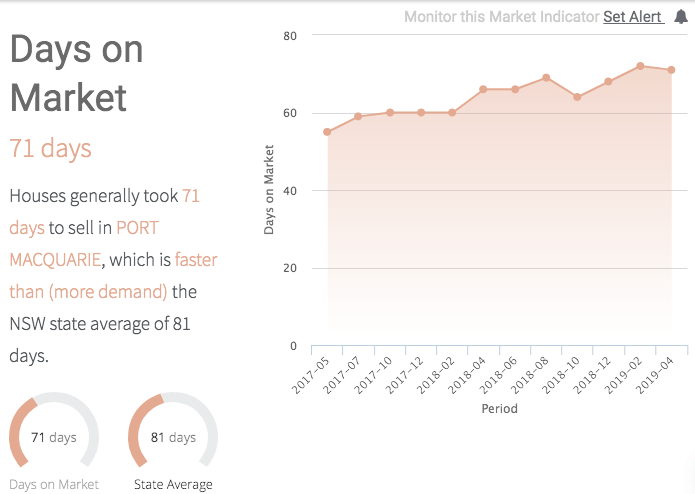 The average time to sell houses in PMQ is only 71 days with median prices remaining constant over the last 24 months in contrast to many other markets in Australia. Please read the information memorandum for further market insights and detail supporting the feasibility assumptions. This is a strong risk mitigation feature. You will be issued with a preference unit in the development trust. This means you get first right to the profits up to 30% on your invested capital. The remaining profit then goes to the developer without investors expected to wait for the whole project to sell out nor waiting for the houses to be built before settlement and profit distribution occurs. With a total of $10.5m projected profits to fund the investors returns of $1.5m profits would have to be downgraded by $9m before your profit share is reduced. As land sales occur, investors will be paid in the order they entered the project. So the sooner you invest, the sooner you get paid (and get a limited allocation of units). Developing a DA approved site is less risky than one without a DA. Investors in round 1 funded the DA costs for a 30% fixed return. Nine out of 10 investors in round 1 have elected to roll over their capital and 30% dividend into round 2 for an additional 30%: a $100k investment rolled over into round 2 would therefore return approx. 70% over 2.5 years. Hotspotcentral has become a 'gatekeeper' to hundreds of potential passive development offers over the last 10 years. The reality is few small developers understand how to conduct 'deep dive' research into local market data that supports the turnover and profit assumptions behind their projected returns. Hotspotcentral provides independent location and project research and due diligence beyond that provided by the developer alone. We build research systems like Boomtown/Boomscore that are relied upon by over 10,000 property investors and industry professionals: systems that quickly indicate the 'development suitability' of a location in view of current market conditions. Guardian Securities has provided the ASIC compliance oversight on these sorts projects for 15 years and are very adept at testing the profitability and investment assumptions. This multi-layered research and due diligence can provide investors with additional peace-of-mind. How do you know property development is for you? What is a "preferred" return? As the name suggests, preferred returns paid to preference unit holders or preference shareholders are a profit distribution distributed to one class of unit before another until a 30% return on the initial investment is reached. This preference provides some comfort to investors since it subordinates the developer's profit participation giving them a big incentive to ensure maximum profits are realised so they too see a return after your returns have been paid. If profits drop considerably, as long as there is still sufficient profit in the pool, you might still see a full return when other investors classes - typically the developer - do not. In most true preferred equity investments, investors get their initial investment and also get a set percentage return on their investment before the subordinate equity investor gets even $1 dollar of cash flow. If the investor does not receive a return of capital before the sponsor or some other equity tranche, then the investor is in a “common” or “JV equity” position and not a preferred equity position. The project term is dependent on a number of factors outlined in the offer document. The key risks are how long it will take to sell the completed lots. The sales turnover and dominant price segment data provided indicates the project term will be around 12-14 months at best estimate. Investors will then be repaid as and when the sales settle rather than when they are ALL sold. So get in first, get paid first. Any entity that can own units in a trust e.g. SMSF, trust, company, individuals etc. How much do I pay Hotspotcentral? You don't pay me anything for my research and access to these off market projects. I am paid by the developer for raising the capital and providing regular investor updates throughout the project lifecycle. I'm your man on the ground. Regular progress reports are provided on this web page after. You will be send an sms and email notifying of the next update. My Accountant/Financial Planner says it's "too risky?" We always advocate taking independent advice from someone suitably qualified to give advice on unlisted investments. I talk with my investors Financial Planners and Accountants regularly about these investments and it surprises me how few of them give advice on these private market, wholesale offers without having invested in similar offers themselves. Even fewer understand exactly what the risks are and, more importantly, how they are mitigated. Some focus on the perceived risks as standardised in the prescribed offer documents without understanding them in context of the actual offer. - what part of this is risky exactly? - why do you think it's risky? - do you understand what risk mitigation is in place? - have you invested in unlisted private offers before? - how did it go for you (maybe they have had a bad experience and prefer to just say 'too risky'). Some less scrupulous/experienced advisors prefer to receive the annual commissions paid for putting their clients into managed funds (just saying - not all do of course). If all else fails - get them onto a call with me and I'll walk them through the risks and corresponding mitigation. When do applications for a unit allocation close? We have allowed for receipt of applications for up 4 months after the offer opened to existing investors on the 15 March 2019. Investors will be repaid their capital, with their returns, as and when the housing lots settle on a first-in, best-dressed basis. So get your funds in early to be paid earlier. Robert Scott from Sydney: a 20 year veteran with a sterling track record ...and ... personally know to Michael Fuller of Hotspotcentral prior to undertaking projects together. Robert is currently our preferred panel developer submitting projects for our review. Your questions and concerns are important. Please get in touch if you need further assistance or information. Investors in offer #1 have committed over $1m within the first 2 weeks of opening the offer to existing investors only. The next $1m will be sort from existing Hotspotcentral email subscribers and those on the waiting list - allocations on a strictly first-in, best-dressed. Below are previous investors updates for the original offer #1 of 30% offer for capital to fund the DA approvals which as now been done. Offer #2 seeks capital to fund the construction of the housing lots (including the roads) and the sales of the first 20 lots. Yep, That's right folks. If you missed out on earning 30% in stage 1 of the project then now is the time to get involved. The DA approval was obtained as planned and the second phase of construction has begun. You will struggle to find a project with these credentials in the current market. "PMQ Offer#2" capital raising begins with current clients only. 90% of existing investors decide to reinvest their capital from PMQ Offer #1 now that their 30% fixed dividend becomes due. Back to work yesterday after an overseas break with my family and looking forward to getting back in the groove again. Whilst away I was still able to communicate with my consultants and Council to make sure we are rolling along. We had a little bit of feedback from Council requesting a ’preliminary’ VMP (Vegetation Management Plan). We responded to say we believe we have provided this information in our ecology report and typically a condition of consent would require a full blown VMP. Council were due yesterday to provide an update from their ecology department on the VMP request and also comments from their engineering department to my consultants. We are yet to receive this update and I have sent an email to a number of Council staff this morning requesting the update. My consultant team have now completed and lodged with Council the engineering and stormwater detail. You may recall from my last update that this particular Council was requiring an extra level in engineering work for all new DA applications, almost to that of construction certificate detail. This level of engineering detail has served us well because we were able to design the stormwater capacity to suit the yield for our future integrated development application. In the context of this project, council have indicated they would be happy to support a proposal which includes townhouses at the base of the site. The townhouses would be Torrens Titled as opposed to strata titled. The roads would be owned by the collective residents. At present my focus is on the shorter approval time route for the standard subdivision plan which will create certainty and value for our investors, I expect this application to be approved around September/October ‘18. Soon I will be preparing an ‘integrated’ development application (a little longer time frame and post investor participation) to overlay the standard subdivision plan. This will increase our yield up to approximately 48 plus Lots by having smaller Lots with different rules applying such as internal roads will become part of the body corporate, a bit like a townhouse site. To cater for the future increase in yield, our we required a little more space for stormwater and our current yield is now 35 Lots (was 36). The amended plan is currently on exhibition re-notification from 24th July to 6th August, then we await Council and RFS (Rural Fire Service) responses. I have also received correspondence that we do NOT need to complete a Koala Habitat Plan of Management. I think we’ve now completed the bulk of the work and have amended plans to satisfy Council and neighbouring comments. All is going as expected with Port, not a great deal to update you on as all our recent additional information requested by Council is still being assessed. I did phone Council’s planning officer earlier in the week just to nudge them along and see if they required anything else. It is quite possible that we “should” have an approval mid to late October as long as Council’s internal engineering department reports internally in a timely manner. I have also been speaking with suitable architects and builders for the next phase of development which is to design and build specific house land packages over approximately 50% of the site. This means a higher density development. Once I have obtained approval for the current subdivision application, I will be applying to Council for an “integrated” development application to increase Lot yield. This is always a conservative approach to build value and certainty step by step. I am currently overseas in the UK and Europe returning 22nd October and would consider inviting your investors to participate in the second development phase to further strengthen our relationships for the future. Broadly speaking, investor participation would include settlement of the site. Then there would be some bank funding for construction of subdivision roads and services. Return of capital and profits to investors would be generated from the sale of house and land packages. Note: I will need to discuss the timing with you, but typically under a house land package, the purchaser would settle the block of land with developer/investor after roads and services constructed eg registration of land, then the purchaser settles the house with builder upon completion of home. The benefits of this process is the developer does not pay for home construction and receives principal/profits back upon land registration instead of house completion. I can speak to you with more accuracy upon my return. Further to your question about how we are tracking to the original timelines, my consultant has come back to me saying they expect the DA approval at the end of August (I think this is tight, I'd say more like Sept) and NO Koala Habit Plan required - woo hoo! I've been keeping an eye on the Port Macquarie market as I'm obviously keen to ensure the final development approval is met with a favourable valuation on the site. This in turn will help with funding for the extraction of the equity to repay investors. There is no doubt in my mind the market there continues to remain solid when markets like Sydney and Melbourne are sliding. Anecdotally, and what I've read in the press, Port Mac is being fuelled largely by those seeking an affordable sea-change away from the capital cities. As far as value goes it's hard to beat at the moment and, I imagine, will continue to do so over the next few years if the BoomScore data is anything to go by. I must commend Robert for his work so far. I have worked with numerous developers over the years as some of my older clients in this project know. He certainly keeps a cool head and ensures his team are driving things forward with council while also keeping them very much on side through strong collaboration. At this stage all seems on track. Keep it up Rob. Welcome to update #3. It's a short and sweet update as things are tracking along similarly to update #2. That said, there are a couple of key points since the previous updates..
Engineering - My consultants met with Council’s engineering department on 10th May to discuss their request for detailed engineering reports on stormwater road grades etc which are typically reserved for the construction certificate phase. It seems Council has recently adopted this approach for all development applications. We expect to have these reports completed by 13th June. All it means is there will be less work and expense when we apply for our construction certificate. Council has not yet publicly advertised our amended application due to finalisation of plan subject to engineering reports. I have received no advice yet that we require a Koala Habit Plan of Management. The longer it goes the less chance of a KHPM being required. I’m happy with our direction to date.